The world’s full of big problems. You want to do something, but where to start? Start with something small. Something that makes best use of your unique set of gifts. Something that begins on your doorstep – that tackles the problem in front of you – and grows from there. 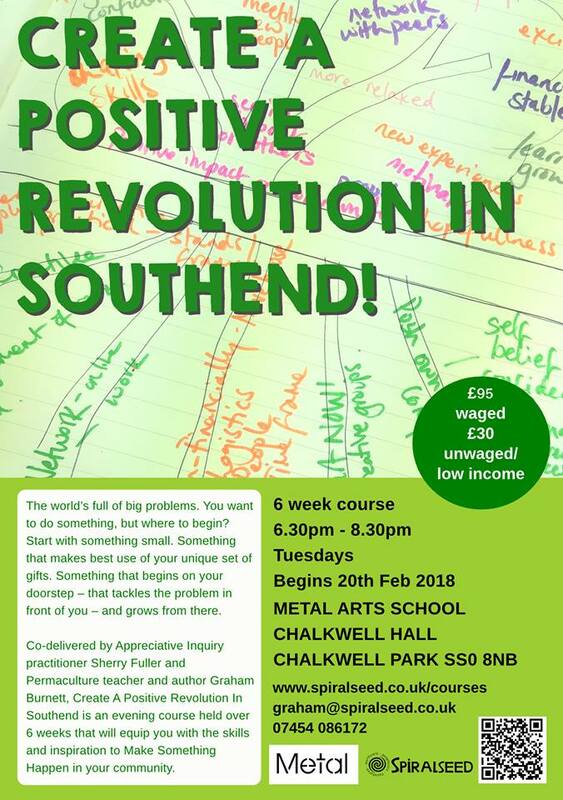 This course – co-delivered by Appreciative Inquiry practitioner Sherry Fuller and permaculture teacher and author Graham Burnett – will equip you with the skills and inspiration to Make Something Happen in your community. Over six weeks you’ll learn how AI works in conjunction with Permaculture design, and will be encouraged to build your own project. The course is interactive and practical, and the fee includes a folder with detailed handouts of each session and all exercises. We encourage a certain amount of ‘homework’ but this will be light, fun and optional.